Food First envisions a world in which all people have access to healthy, ecologically produced, and culturally appropriate food. After 40 years of analysis of the global food system, we know that making this vision a reality involves more than technical solutions—it requires political transformation. That’s why Food First supports activists, social movements, alliances, and coalitions working for systemic change. 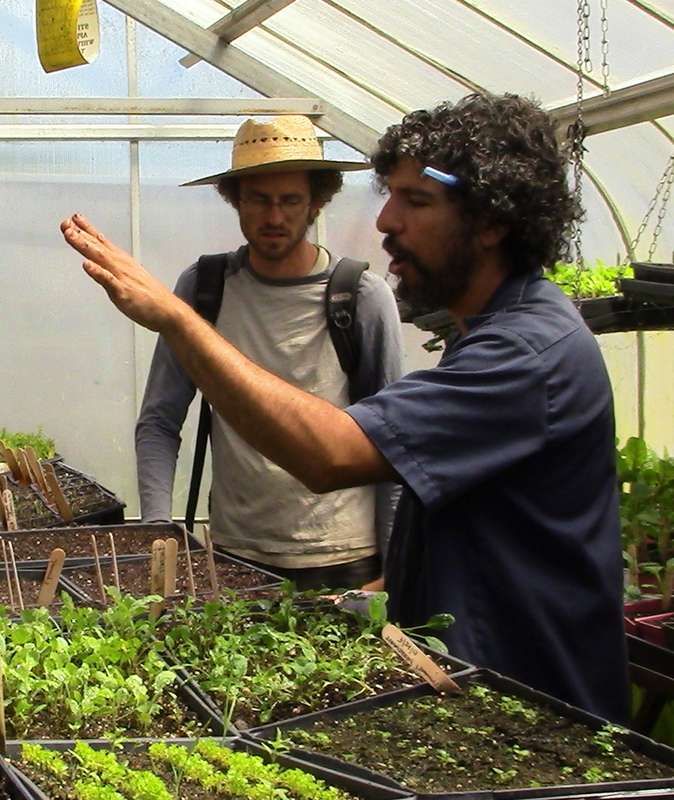 Our work—including action-oriented research, publications, projects and Food Sovereignty Tours—gives you the tools to understand the global challenges, build your local movement, and engage with the global movement for food sovereignty. Founded in 1975 by Joseph Collins and Frances Moore Lappé—author of the revolutionary bestseller Diet for a Small Planet—Food First has been working to end the injustices that cause hunger since 1975. Since its first book, Food First: Beyond the Myth of Scarcity, Food First has gone on to publish over 60 books and hundreds of articles and research reports exposing the root causes of hunger and amplifying the voices of the communities and movements advancing real solutions. 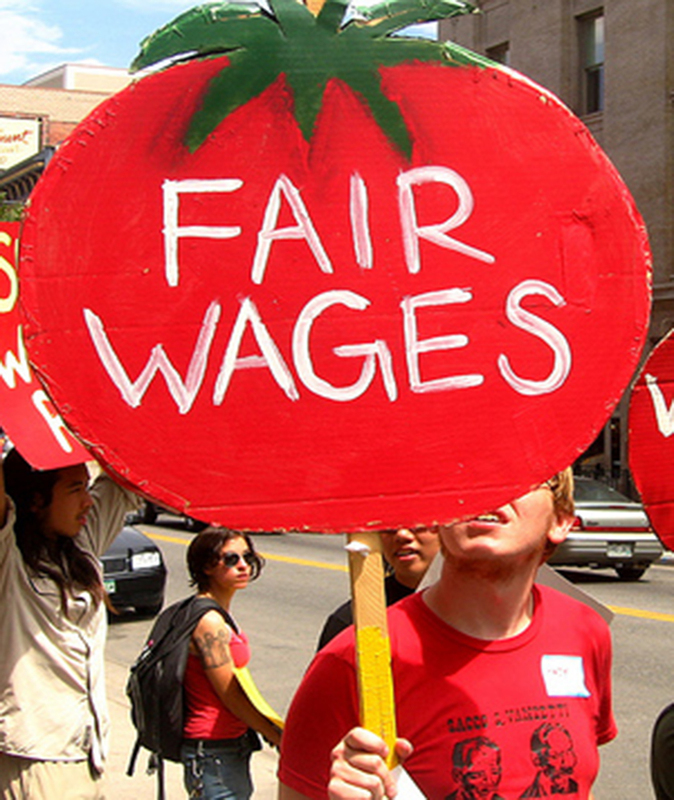 Food First has a large network of committed activist-scholars who produce cutting-edge analysis and educational resources, and who work closely with community-based movements and organizations in their struggles for land, sustainability, health, economic justice, and a world free of racism, militarism and other forms of oppression. Food First is a “people’s think tank” dedicated to ending the injustices that cause hunger and helping communities to take back control of their food systems. We advance our mission through three interrelated work areas—research, education, and action—designed to promote informed citizen engagement with the institutions and policies that control our food. The call for food justice in North America has inspired one of the most promising social movements to come along in decades. The organizations and projects of this rapidly-growing movement range from urban farming and food policy councils to farmworker organizing and land access. All of these efforts strive to address the alarming levels of hunger, malnutrition, diet-related diseases and exploitation that disproportionately affect people of color, women and the poor in our food system. These problems are not simply “aberrations” or “market failures” that can be resolved through emergency food programs, more market information or a foreign guest worker program. They are integral to the structural injustice of a food system built on the backs of workers, women and people of color. As such, we cannot create food justice in the US without dismantling racism and other forms of oppression in the food system and in the food movement itself. This program analyzes the inequitable structures in North American food systems and amplifies the voices of the people and the communities actively working for a fair food system. 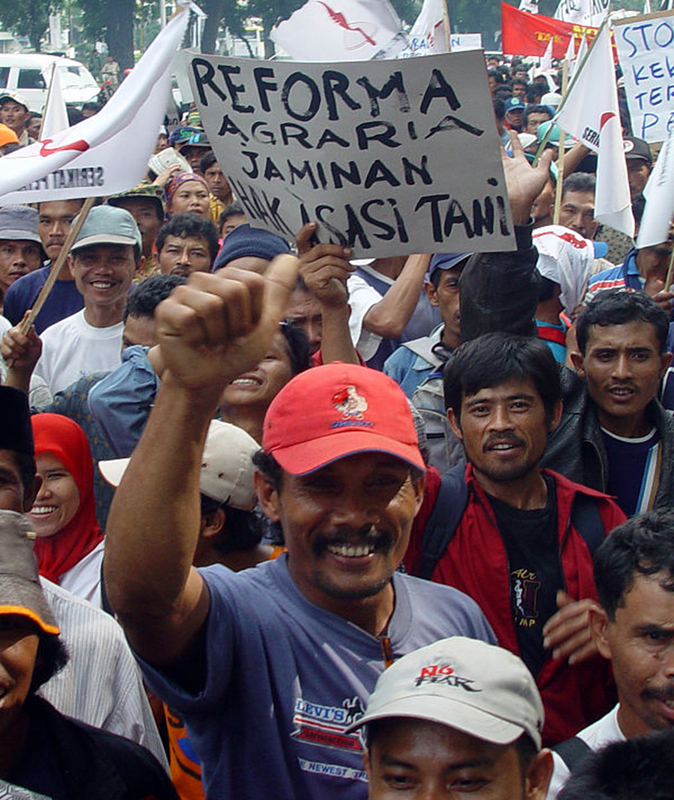 The international peasant movement La Via Campesina’s call for Food Sovereignty has captured the political imagination of peasants, family farmers, indigenous people, gardeners, food activists and academics around the world. Basically, this is a movement for the democratization of food in favor of the poor, in defiance of the corporate control of our food system. The Food Sovereignty movement recognizes “people’s right to healthy and culturally appropriate food produced through ecologically sound and sustainable methods, and their right to define their own food and agriculture systems.” This position goes far beyond “food security” or “food access” to put people in control over their entire food system—from the land and water to distribution and markets. This contrasts with food and agricultural aid programs that result in people’s dependency on corporate food and technology. 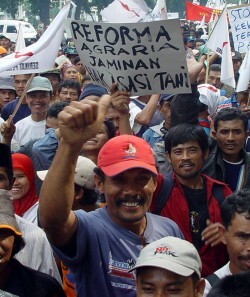 Similarly, Land Sovereignty—people’s right to land and the social, economic and environmental benefits of the land—is increasingly seen as a cornerstone to Food Sovereignty. This focus on land goes beyond calls for land access or land reform to include redistributive policies at territorial and “foodshed” scales for the benefit of underserved communities, farmers, fishers, indigenous peoples, and food and farm workers everywhere. This program amplifies the voices and shares experiences from the food sovereignty movement; analyzes the structural and political challenges to the transformation of our food systems; and gives activists, consumers and policymakers the tools to link their local food issues with a broader, global project of transformation. Agroecology, the “science of sustainable agriculture” is also a practice and a movement concerned with farm, field and food system sustainability. Originally based on ecological observations of traditional farming systems, agroecology starts with ecological principles that allow farmers and scientists to develop sustainable farming methods in accordance with specific environments and farming systems. These methods minimize the use of external inputs and enhance resiliency by building agrobiodiversity, conserving soil and water, and managing biological populations to control pests and diseases. Terracing, cover cropping, inter-cropping, relay cropping, agroforestry and integrated crop-livestock systems are common to agroecology in both rural and urban environments. Agroecology, largely pioneered by smallholders and scientists from the fields of ecology, entomology, and soil and water sciences, has demonstrated scientifically-proven benefits to farmers and the environment, including, conservation of biodiversity, superior resilience to extreme weather events (climate resilience), avoidance of debt and the pesticide treadmill, stable and highly productive yields, improved incomes for farmers (allowing them to stay on the land) and healthier food. Sadly, agroecology continues to be dismissed by mainstream agricultural development institutions because it does not fit well with the high external input model of industrial agriculture and channels the wealth of the agroecosystem to farmers rather global agribusiness corporations. Funding for agroecological research continues to be dwarfed by funding for Green Revolution-style agriculture with its patentable, high-tech inputs pushed by corporate agribusiness. This program seeks to overcome the obstacles to agroecology by highlighting its many successes; promoting grassroots, farmer-to-farmer agroecological training; and identifying the political, economic and institutional barriers to its widespread practice.